Being diagnosed with breast cancer is like being a member of an exclusive club you never wanted to be in. “He diagnosed me with ductal invasive carcinoma on Feb. 16, 2016. 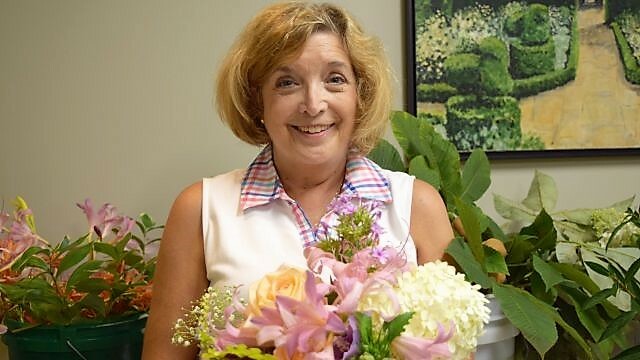 I kind of blacked out,” said Brady, who was two years into retirement from Vestavia Hills City Schools, where she had served as the director of the Exceptional Children’s Department. About 80 percent of all breast cancers are invasive ductal carcinomas – invasive indicates that the cancer has spread to surrounding breast tissues. Brady said that the situation was confusing, forcing her to make huge decisions in a short time frame. She immediately contacted two friends – teachers she had worked with – who were breast cancer survivors. Three weeks after diagnosis, Brady had a double mastectomy, during which the surgeon also removed four lymph nodes. “That was the beginning of my survivorship and my cancer journey,” Brady said. Laying in a recliner and receiving chemo can be the loneliest time in the world, even though 10 other people may be present. 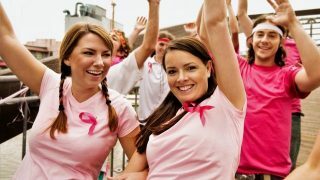 “The people you really want to talk to are the people who have been through breast cancer, and survived it,” Brady said. Two childhood friends and her husband supported Brady through her surgery and recovery. She received special solace from Forge Breast Cancer Survivor Center, where she found a community that understood and could relate to her battle. Brady said she has read studies showing that people diagnosed with cancer absorb only 30 percent of the information their doctor tells them. Her experiences made Brady want to help others by serving as a peer mentor at Forge Breast Cancer Survivor Center. Forge Breast Cancer Survivor Center is a collaboration between Brookwood Baptist Health, Grandview Medical Center, St. Vincent’s Health System, UAB Medicine, the Women’s Breast Health Fund, the Community Foundation of Greater Birmingham and community partners. Dr. Caroline McClain, manager of Forge Breast Cancer Survivor Center, is devoted to making sure clients receive the best care. A clinician and co-survivor who has been involved in healthcare and nonprofit work throughout her career, McClain said that Forge is designed to both fill gaps and erase barriers to care. Her responsibilities run the gamut, from managing the phone line and assisting clients with situations to ensuring the center delivers on its mission and looks strategically at offerings for the community. Forge provides clients with tip sheets ranging from nutrition to information on managing side-effects during treatment, to peer mentorship services and a phone support line. When survivors or co-survivors call, a caring staff member talks through their questions and needs. Together, they create an individualized plan to address each need. Clients are provided with resource lists, as well. Forge provides a monthly gardening class at the Birmingham Botanical Gardens. From 10 a.m. to 11:30 a.m. on Oct. 23, attendees will learn about composting and survivorship topics while creating a compost bin to take home. “These monthly classes are designed for anyone who has ever been diagnosed with breast cancer, as well as their loved ones and the health professionals who serve them,” McClain said. Recently, Forge provided a weekend of free massages, meditative yoga, humor discussion and time to walk the labyrinth at the Benedictine Retreat Center in Cullman. Forge started a breast cancer support group in Blount County, which has transitioned back to the community while providing logistical support. Forge holds quarterly support group meetings for metastatic survivors at partner locations for patients and their caregivers. “Our mentorship and advocacy program are most important,” McClain said. “We can help align clients with a peer mentor if they desire. 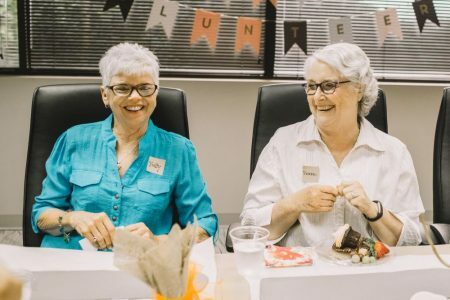 Patients can be on the phone and get the support they need.” Volunteer training for peer mentors and advocates is provided up to four times a year. The center assists co-survivors as well. Families can experience many pressures as a result of the illness. She said doctor’s offices call Forge as soon as a patient receives a cancer diagnosis, and patient navigators call when the patient has given permission. “We can call the patient, or they can call us when they’re ready,” McClain said. “Even if families have the money to deal with such an illness, they need as much support as possible, for budgeting, medicines, scholarships, handling paperwork for insurance. We help them navigate the healthcare system and their diagnosis. Forge staff assess patient needs, set goals and provide information to help achieve the objectives and continue to follow up with the patient throughout the process. McClain said patients and their families sometimes have questions about genetic testing, as well as signs to be aware of for a potential recurrence of illness. “We’re here to support survivors and their families, every step of the way,” McClain said. 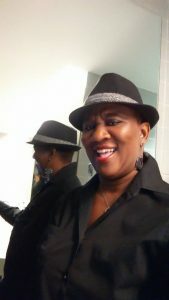 Birmingham comedienne Carla “The Truth” Youngblood can find humor in almost any life situation, but a cancer diagnosis was no laughing matter. About three years ago, Youngblood began experiencing occasional pain in her chest. She circumvented her fears by telling herself it was indigestion. “I knew that something felt ‘off.’ I’d get a hardening sensation,” Youngblood said. She went to her doctor and received a diagnosis on Nov. 3, 2015. “I had cancer in my right breast, but after discovery, I said that I wanted to do a double mastectomy,” said Youngblood, who didn’t want to leave anything to chance. She underwent successful surgery and treatment at St. Vincent’s Hospital in Birmingham. Youngblood made sure to take the time to heal, getting plenty of rest. Deciding against reconstruction, Youngblood began the first of her 28 radiation treatments just eight weeks after surgery. She endured 16 rounds of chemotherapy. Despite the difficulties of treatment, Youngblood said that she always tells people that life is good. As Youngblood talks, a smile often lights up her face. “There is life after cancer,” Youngblood said. Through peer-to-peer counseling, she is assigned to a patient and stays in direct contact, whether by phone to provide advice or to serve as a sounding board, and in-person meetings. 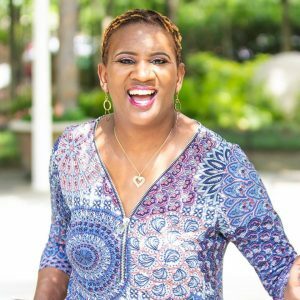 In her professional life as a successful comedienne, Youngblood serves her audience an upbeat message. When she performs on Oct. 11 at Boutwell Auditorium in Birmingham at 6 p.m., Youngblood’s show will include her history as a cancer survivor. Tickets to the “Ain’t no looking back” comedy tour are $20. “It’s the same thing that I try to get across serving as a peer advocate,” Youngblood said. “When I’m working with these other survivors, knowing I’m making a difference and filling a void that could possibly be there, if I wasn’t there, that means the world to me. In the peer advocate world, you can find people that patients can talk to, but often, those people haven’t been there. “To encourage others and find your place in society where you can give back means a lot,” she said. For more information, call Forge Breast Cancer Center at 1-800-811-8925 or 205-838-6159, or email McClain at [email protected]. Amazon raises minimum wage in U.S., U.K.
Support the race for the cure with these Breast Cancer Awareness Month activities. 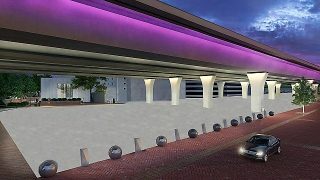 Plans are to have new features in place in time for 2021 World Games. 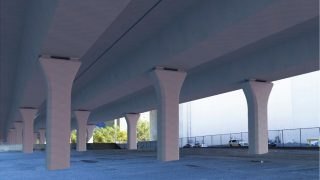 City, community leaders excited about potential for new public space under the interstate to link key attractions and connect neighborhoods.